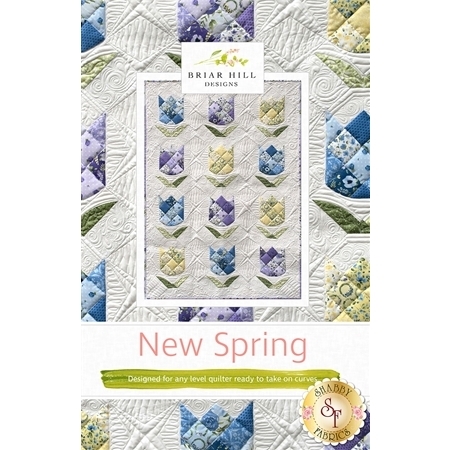 New Spring from Briar Hill Designs is a beautiful way to welcome the spring season! 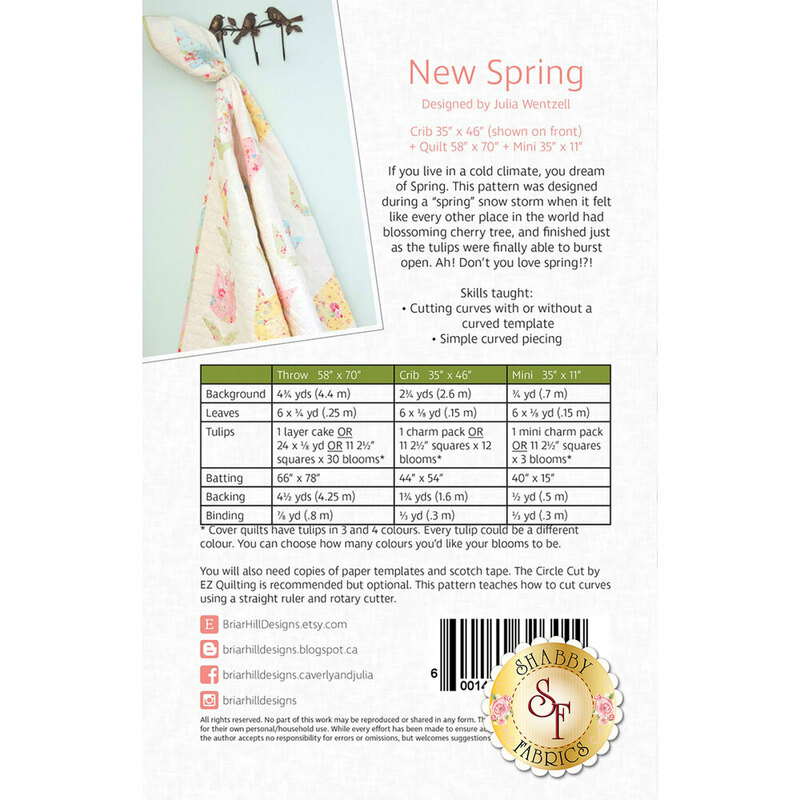 This pre-cut friendly pattern is a wonderful way to learn how to cut curves with or without a curved template as well as simple curved piecing. Included are instructions for a crib quilt (measuring 35" x 46", a quilt (measuring 58" x 70"), and a mini quilt (measuring 11" x 35").